OrgFinances by BinaryHouse is an easy and convenient accounting tool for home users, sole traders, small businesses and organizations. Its decided advantage is that it considerably facilitates finance management without requiring any special skills or qualifications: that is, novice users will definitely appreciate its simplicity, while advanced users will enjoy the rich variety of features and more sophisticated settings. OrgFinances is able to provide clear statistics for any day or time period and secures your financial data with a password. OrgFinances is developed to help you successfully manage family or business finances, track income sources and articles of expenditure, plan the budget and cut down unimportant expenses. The program supports unlimited customizable categories, which contribute to efficient organization of accounts, and, according to your preferences, generates either comprehensive or selective reports. Moreover, they can be exported to text documents, HTML, XML, Excel and PDF for further management or for mailing them to relatives or partners. By the way, OrgFinances features simultaneous management of unlimited number of budgets, so that it is possible to use it for both family budget and your private enterprise. Among other useful features there is a handy scheduler and a calendar of appointments, which can be exported to Outlook in case of need. Timely reminders won't let you forget anything! 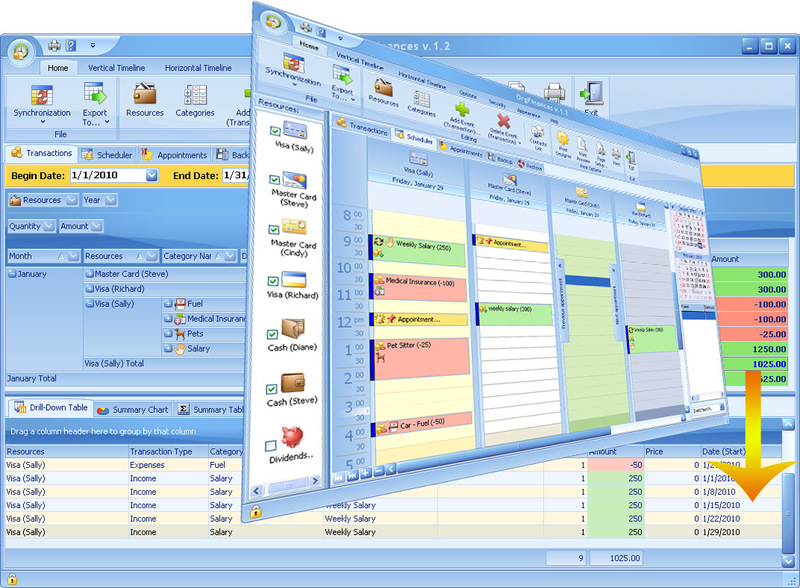 Features: - Unlimited number of accounts and categories; - Comprehensible statistics for any day or period of time; - Facilitation of finance management; - Export to text documents, HTML, XML, Excel and PDF; - A handy scheduler and a calendar of appointments; - You can use e-mail or SMS to send appointments and reminders; - Tracking recurring transactions; - Convenience and intuitive interface; - Password protection.